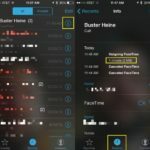 The U.S. Patent and Trademark Office has published a new Apple patent titled “Gesture and touch input detection through force sensing”, that describes how an iPhone or iPad’s built-in pressure sensors can work in conjunction with touchscreen inputs to provide enhanced UI navigation, AppleInsider is reporting. 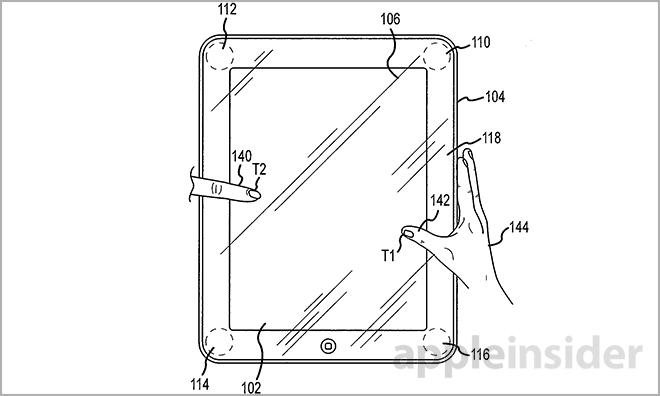 The patent details a device that implements the usual multitouch displays seen in the iPhone and iPad, but adds at least three force sensors underneath the screen’s surface. Apple notes that by deploying the pressure-sensitive components around corners or other areas of the device, the sensors can be translated into a secondary mode of input. The filing notes that deployment of four or more force sensors is typical in such systems, and that these sensors must be operatively attached to the touch surface, such as a display, which may not be visible to the user. “In addition, force sensors do not need to be co-located with capacitive touch regions as they act independently of said system. Instead, selective sensor distribution is used to determine where a user is pressing during a given gesture. In some examples, Apple positions the force sensors outside of the active touch area, which may allow for a secondary mode of input that correlates to onscreen UI elements like buttons or arrows. The patent was first filed for in 2012.